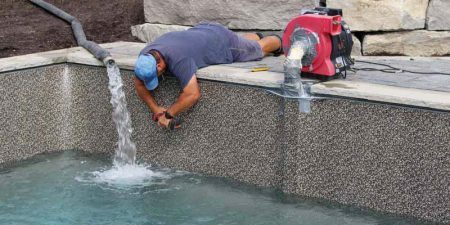 After a number of ebb and flow seasons, the Canadian pool industry had a breakthrough year in 2016. In fact, the total number of swimming pool building permits registered last year was the third most in the last five decades. In terms of historical data, one would need to look to 1988, an anomaly maybe, but 19,695 pools were installed. Prior to this, the bar was set in 1979 when 13,200 permits were registered. 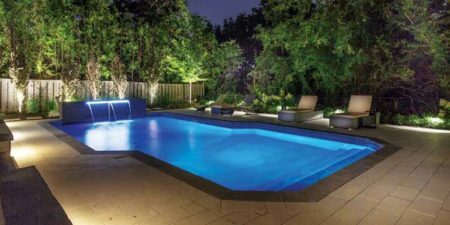 While this homeowner in Woodbridge, Ont., certainly loved their pool and backyard, they knew renovation work was needed to rejuvenate their outdoor living space. 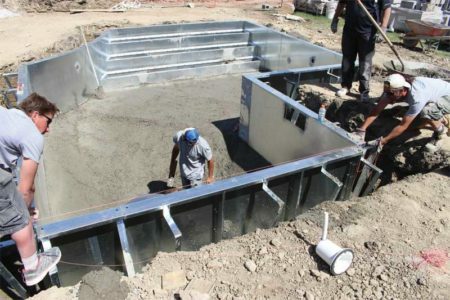 For instance, the existing fibreglass steps were inappropriately sized and the acrylic was chipping, the pool’s shallow end was too small and did not provide bathers the luxury of just lounging in the water as opposed to swimming in the 2.7-m (9-ft) deep end. Finally, the existing landscape was overgrown and outdated. 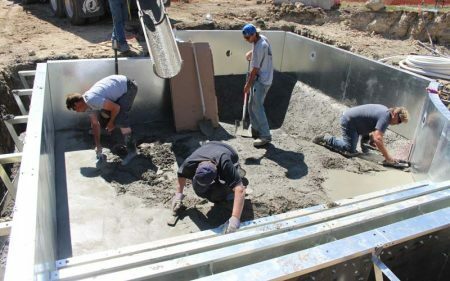 The clean, minimalist look of this custom-rectangular 6.1- x 11.2-m (20- x 37-ft) dry-gunite pool provides the perfect complement to the elegant, traditional design of this contemporary-style home in Markham, Ont. 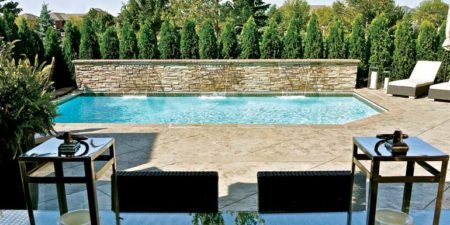 Built by Betz Pools Ltd., of Stouffville, Ont., the classic finishes used in this stately home’s backyard retreat includes black tiles, dark-coloured stone, glass, bamboo, and decorative grasses, which all serve to create a sleek modern design. 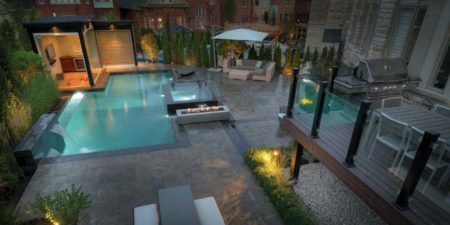 Although this backyard in Vaughan, Ont., already included a large, stamped concrete patio, outdoor kitchen, and covered pavilion area, the homeowner felt adding a pool would up the ante of their backyard’s entertainment value and satisfy the need of creating a gathering place for family and friends.